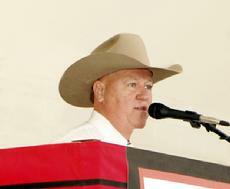 Tony Langdon has been licensed as an Auctioneer since 1978. He is a graduate of North Carolina State University with a Bachelor of Science in 1979 and the Superior School of Auctioneering the year prior in 1978. Immediately following college he joined the American Quarter Horse Association as a Director of Advertising for the Quarter Horse Journal representing the association at quarter horse auctions throughout the United States and Canada. In 1981 he moved to the Dallas-Fort Worth Metroplex and founded Tony Langdon Promotions, producing record setting Quarter Horse Auctions for over a decade. In 1990 he pioneered the unique mobile wholesale vehicle auction company, AutoVest, selling thousands of used car trade-ins and aged inventory monthly for new car franchcise dealerships throughout Texas. This concept of selling vehicles in dealer only auctions on site at new car dealerships has proven a very viable method and has often been copied in other areas in the US. After 17 years of operation, AutoVest was sold to the publicly traded company, Asbury Auctomotive. His next start-up auction venture was in 1996, Tony Langdon Auction Properties sells real estate at auction in North and Central Texas. With a strong background in horses and cattle he excels in selling farms and ranches understanding the needs of a buyer and the desires of the seller. Once again, most of these properties are offered using his own innovatiove auction concept which yields the maximum results. He also excels in selling Raw Acreage, Commercial Real Estate, Single Family Homes and Multi-Family housing. Tony Langdon is available to produce your own special auction of Real Estate, Horses or Automobiles. With over 35 years of auction management experience, he has long been devising auctions that conform to the location, specific needs and the budget of the Seller. Simply go to the web page for the type of auction you desire for additional information on how he can assist you with your specific needs. 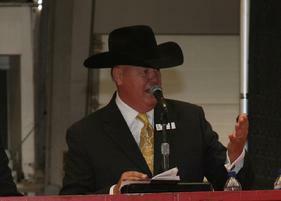 Tony Langdon is available as an Auctioneer for hire for your next upcoming auction. Serving as a Contract Auctioneer he sells millions of dollars of horses, automobiles and real estate nationwide each year. Heavily licensed, he is eligible to conduct auctions in virtually every State in the US. During his career he has served as an Auctioneer at most of the major horse, collectible car and real estate auctions across the nation. With his years of expertise, he understands the importance of the profession and is prepared to lead your next Auction.